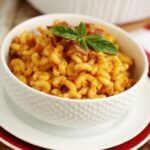 Cozy Cavatappi Pasta - Frugal Mom Eh! 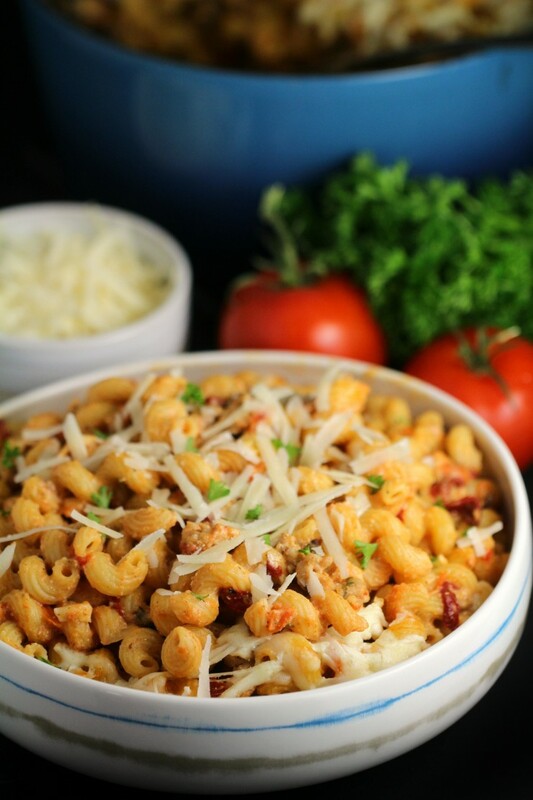 When the weather begins to turn cold, snuggle up with this cozy stovetop cavatappi pasta. It’s that time of year again! The beloved Milk Calendar is back with 19 new nutritious and easy-to-make recipes for 2018. The Milk Calendar is such a familiar institution that Canadians just love and look forward to year after year. It’s such a great kitchen calendar that provides not only an excellent tool for families to keep track of activities, anniversaries and important milestones, but also provides easy, nutritious and mouth-watering recipes. The Milk Calendar, brought to Canadians by Dairy Farmers of Canada, is a time-honoured tradition and the 41st Edition has already been distributed to over 2 million Canadian households in Ontario and Atlantic Canada. 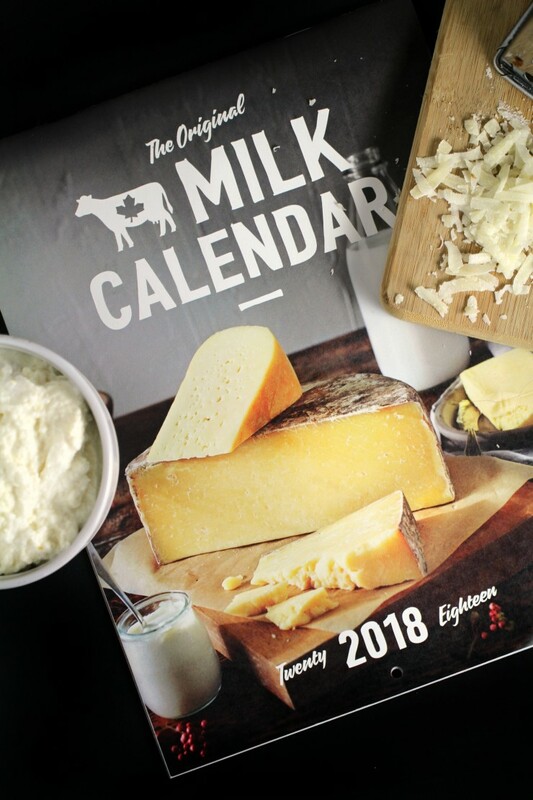 This year’s Milk Calendar celebrates local, sustainable, handcrafted foods and is full of delicious recipes featuring the goodness of 100% Canadian milk, along with food pairings, and entertaining tips and tricks. 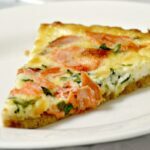 The 2018 recipes were developed by accomplished food writer and recipe developer Heather Trim, and offers Canadians fresh flavours using dairy products as an important part of a well-balanced and healthy lifestyle. I grew up watching and helping my mother cook from the Milk Calendar and it is one tradition that I continue with my own family. It’s important to me that we spend quality time together in the kitchen cooking and planning meals as it does so much to reinforce healthy eating habits – habits that I hope will last a lifetime. 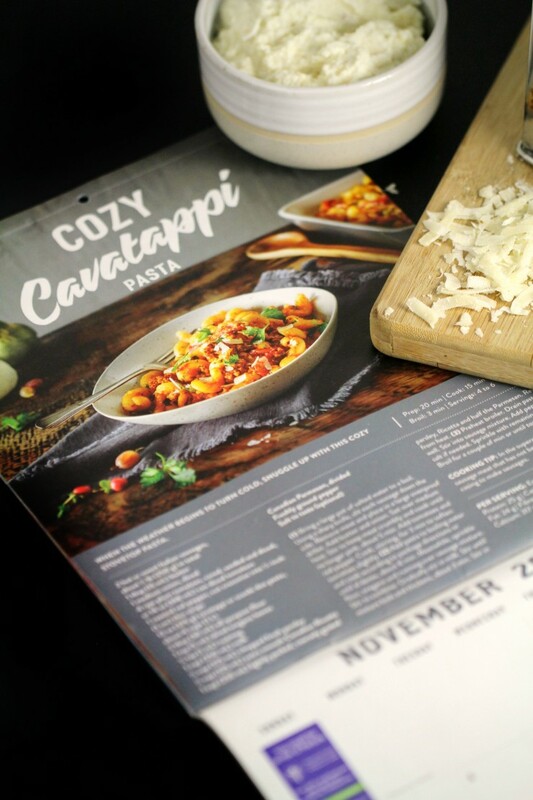 Just this past week I whipped up this Cozy Cavatappi Pasta from the 2018 Milk Calendar and it is such a great-tasting, easy dish that was a real hit with my family. Read on for the recipe or check out your own copy of the 2018 Milk Calendar! Visit milkcalendar.ca to find out how to get a copy and discover more recipes, along with videos and additional cooking tips and tricks. When the weather begins to turn cold, snuggle up with this cozy stovetop pasta. Bring a large pot of salted water to a boil. Using a sharp knife, slit each sausage down the side. Remove meat and place in a large ovenproof skillet. Add butter and onion. Set over medium heat. Stir to keep meat crumbly and cook until no longer pink, about 5 min. Add tomatoes and red pepper. Cook, stirring, for 3 min to soften tomatoes slightly. Add pasta to boiling water and cook according to package directions or until al dente, about 8 min. Meanwhile, sprinkle flour, oregano and nutmeg over sausage mixture. Stir to combine. Gradually stir in milk. Stir until mixture boils and thickens, about 3 min. Stir in parsley, Ricotta and half the Parmesan. Remove from heat. Preheat broiler. Drain pasta very well. Stir into sausage mixture. Add pepper and salt if needed. Sprinkle with remaining Parmesan. Broil for a couple of min or until top is bubbly. Cooking Tip: In the supermarket, look for sausage meat that has not been stuffed into the casing to make sausages. Disclosure: This post has been sponsored by Dairy Farmers of Canada. All thoughts and opinions are honest and my own. Great tasting dish, I love using the scoobydoo pasta in a lot of my dishes!! oh my this looks amazing! I always look forward to my milk calendar!! I’m going to have to give this recipe a try I think my daughter would love it. So tasty! My mother makes a great version of this! That looks a lot like the homemade goulash I make during the winter. I really should take some photos of it and compare! I always excited for my milk calendar! Now this sounded like an amazing pasta. It’s really cool that you found this recipe on the milk calendar! This is a very cool and informative post plus the food looks fantastic! I can absolutely see bringing this to a potluck and it being a hit. Thanks for sharing! This pasta looks amazing! My family loves pasta dishes. I’ll be giving this one a try soon. Yum! I think this pasta is really yummy looking! It would be perfect for a cozy weeknight meal! Ah, this is my son’s favorite! Thank you for share the recipe. Omg one of my favorite pasta dishes very satisfying and beyond fulfilling I need to try your recipe sounds delicious. I grew up watching my mother cook as well. I have many favorite cookbooks simply because they were connected to my childhood. I’ve never heard of a milk calendar before. It sounds like something I would really enjoy! 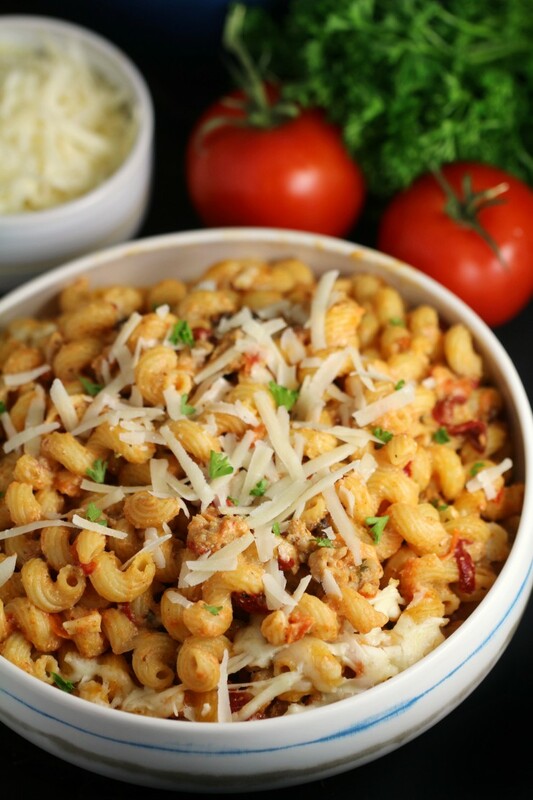 This pasta recipe looks delicious and hearty. I would love to give it a try along with some of the other recipes! I swear I can practically taste all the fresh flavors in this dish. I HAVE to make this for my weekly meals on Sunday. Thanks for sharing a recipe from your milk calendar. 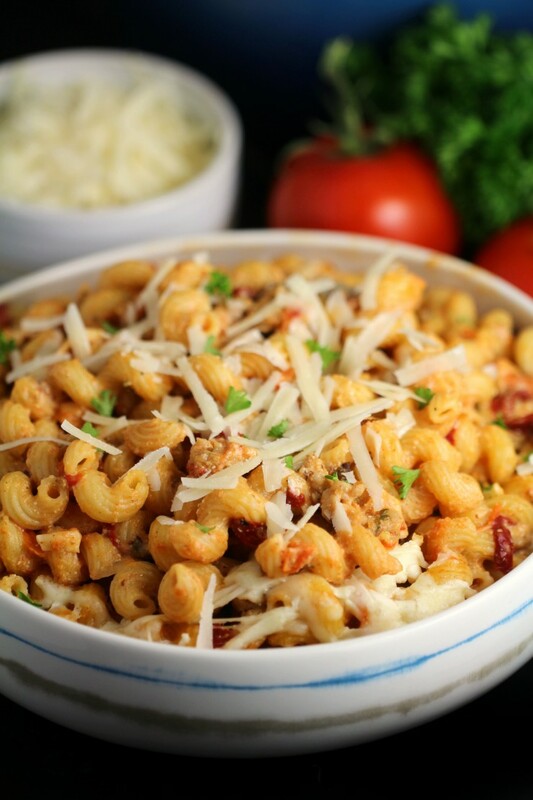 Cozy Cavatappi Pasta looks like such a delicious meal. I’m a sucker for all pasta dishes. It’s a meal that I can always get my entire family to eat. OMG. I love this. So yummy. I’ll make it immediately. This recipe is so delicious. Wow this looks like such a delicious and amazing recipe! I’ll definitely be making this for my family to enjoy! OH yummy! This pasta sounds delicious! 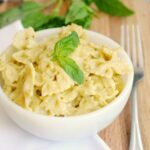 I love finding new pasta recipes to try. Pasta is a huge hit in our home. Looks so delicious ..i love pasta..definately going to try out for my family. It sounds like a delicious pasta, the type that you would eat on a Saturday night while watching tv with your family. 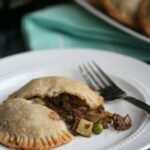 I like that it has so many ingredients that make it very filling, the perfect comfort food. I love healthy eating habbits. And it is so important to teach them to our kids. I love spending quality time in the kitchen with my kids, too! Girl I’ve been staying away from pasta. Those carbs girl! But your recipe looks on point! This sounds great. I love Canadian ricotta! It’s nice to see freshly grated cheese in a recipe! In my opinion, the bagged stuff just never tastes as good.